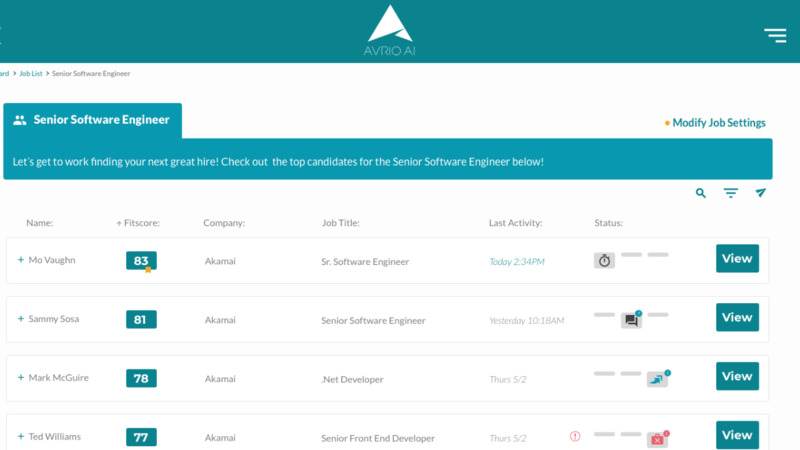 Finding and connecting you to your top candidates, smarter and faster with AI. Avrio AI's matching algorithms, match and qualify millions of candidates, so your recruiters are instantly engaging with the best available candidates. Help your recruiters submit better candidates quickly and increase the velocity of your business. Quickly hiring the right candidate is paramount to a company's success. With our sophisticated screening, we increase recruiter efficiency by doubling or even tripling the number of qualified candidates identified. Keep your hiring managers happy and provide a quality candidate for every single position. With Avrio AI, you can fill every open position with speed and precision that is sure to impress every hiring manager you work with. 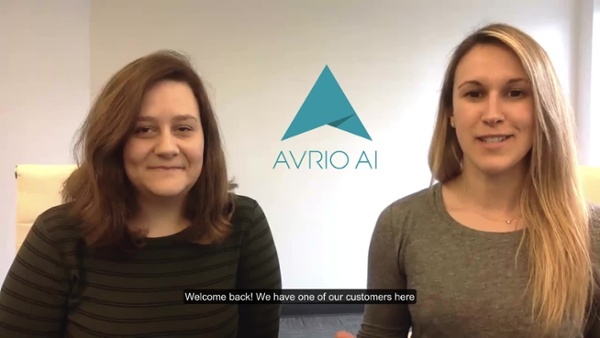 Discover what Avrio's Artificial Intelligence can do for your recruitment needs.